This week marks the first in which federally employed airport screeners are missing their regular paycheck due to a lapse in government funding. And with most positions paying roughly between $35,000 and $45,000 per year, TSA Administrator David Pekoske told his staff on Wednesday morning that financial hardships are to blame for the call-outs. TSA employees, who are currently working without pay, screen passengers during the partial shutdown of the U.S. government, at Baltimore Washington International Thurgood Marshall Airport, on Jan. 14, 2019 in Baltimore. As call-outs have increased at the agency, long wait times have materialized sporadically across the country, but appeared to stabilize since Monday. Nearly 100 percent of passengers on Tuesday waited less than 30 minutes and 97.3 percent of passengers, less than 15 minutes. On Monday, queues at Hartsfield-Jackson International Airport security extended more than an hour long, causing travelers to miss flights, according to ABC-affiliate WSB. An Atlanta airport spokesperson told ABC News several security lanes were closed Monday morning due to staffing shortages, leading to longer than usual lines. The security checkpoint at Terminal B in Houston's George Bush Intercontinental Airport was also closed. Passengers are forced to go through a surrounding checkpoint and then walk or take the train to their gate in Terminal B on the secure side of the airport. In an apparent effort to raise the spirits of those tasked with keep the country's airports safe, Pekoske announced last week that his uniformed screening officers would receive a one-time bonus of $500 "in recognition of their hard work during yet another busy holiday travel season, maintaining the highest of security standards during an extraordinary period." Pekoske recognized the bonus wouldn't make up for a full missed paycheck, but tweeted "I hope these actions alleviate some of the financial hardship many of you are facing." Despite the staffing shortages, TSA has strongly denied any affect on aviation safety. 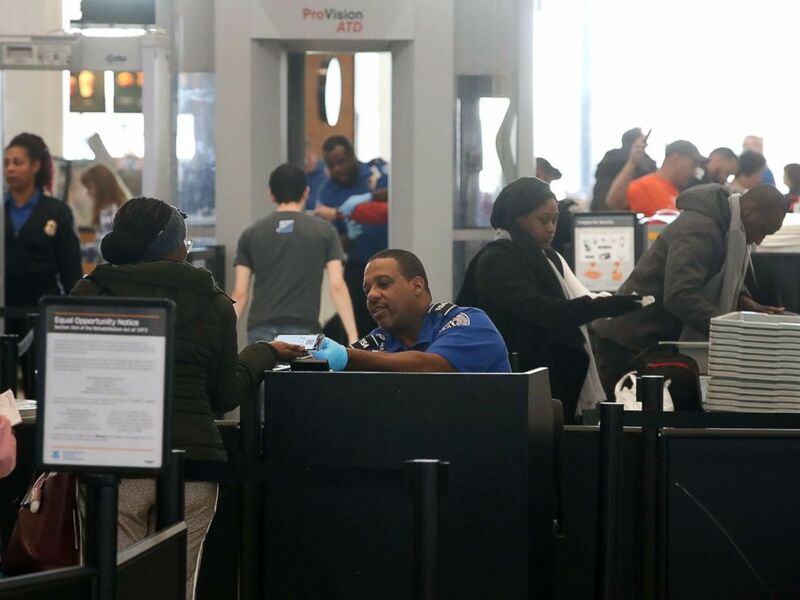 Agency leadership has stressed the country's airports and airlines would not be imperiled by any hit to security operations, citing strict standards and a program that sends screeners and managers from airports under less stressful circumstances to any airport needing backup. Dubbed the "National Deployment Force," TSA has the ability to quickly dispatch more frontline screeners, canine teams and specially trained Homeland Security personnel. They are often used during major events like the Super Bowl or in the wake of natural disasters when hometown TSA employees are unable make it to work.